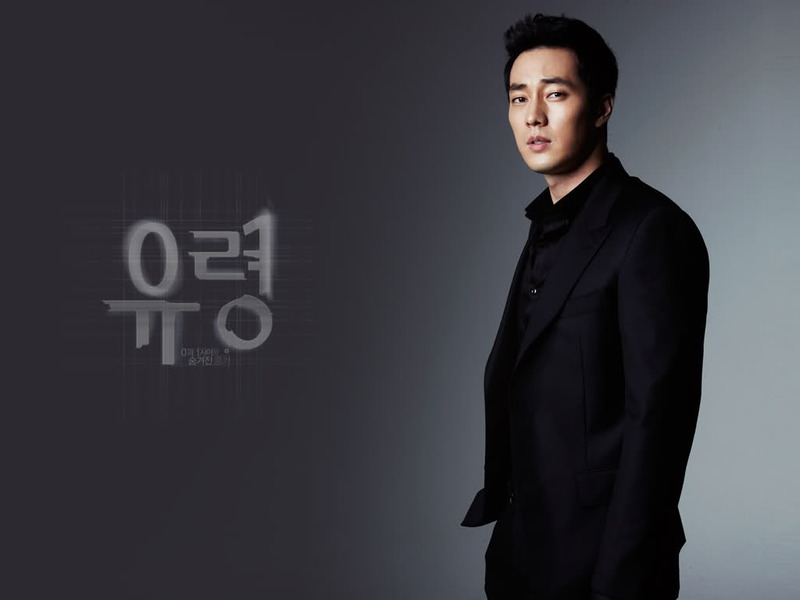 After MASTER’S SUN, I need more doses of So Ji-sub. But SORRY I LOVE YOU is out of the question. I don’t like melo-angst. So I checked out SJS’ other works. It brought me to ROUGH CUT and despite the fact that this was directed by Kim Ki-duk, whose THE ISLE traumatized me so much I can never look at a fish hook the same way again, I bravely gave it a try. Kang Ji-hwan is also here plus an interesting plot and the mostly positive reviews. 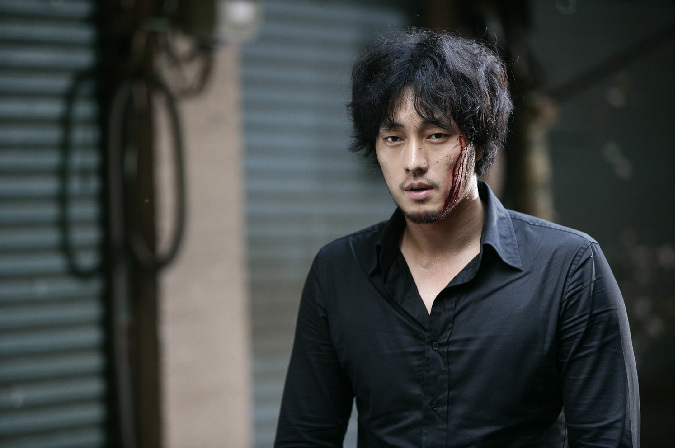 A bloodied So Ji-sub in the first five minutes of the film. Honestly, it wasn’t what I was looking for even though I knew the plot so… bye, ROUGH CUT. Next, I checked out GHOST. I actually finished the first episode and the premise is interesting: cybercrime. There are some familiar faces here too including the actor who played Secretary Kim in MASTER’S SUN, which made me wonder if they’re a package deal. SJS in suits and short hair, why not. But then… he never smiles. I never once saw him smile in the first episode. The role is just too serious for my taste. I was thisclose to watching episode 2 before I decided to just watch MASTER’S SUN instead. Now, this is what I am looking for. 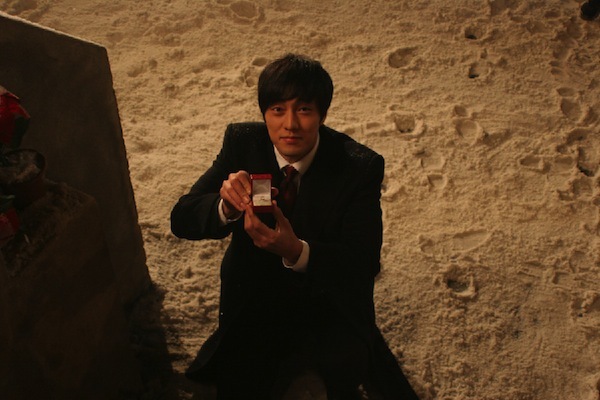 I want So Ji-sub, not only in fashionable clothes (those colors!) or in pop idol mode. I want him smiling, snarky, charming. Why do most of these actors love to play broody characters? It’s such a waste of charm, really. Though in some cases, not a waste in craft. But in all my searching, it seems I’m not looking for a So Ji-sub in another form. I’m just looking for Joo-goon. I’ve never been hung up on a drama character since… well, the last one was Qin Zi Qi in OFFICE GIRLS (Taiwan). I need a second season or film version of Joogoonie Taeyang. Wouldn’t that be awesome? In the meantime let me re-watch MASTER’S SUN. Give Master’s Sun a try! yea, plan to watch the rest in daytime, haha. Can’t comment on his Master’s Sun character yet since i’ve just watched the first ep and he is as cold, broody (and assy) as his previous roles there, hee. Ah sou. I don’t have a standard coz this is the first time I’m watching him. But I assure you, he gets funnier and funnier! I agree that re-watching Master’s Sun is the best thing to do if you’re missing Joo-gun (been there, done that :P) but I also like So Ji-sub in Only You/Always. Have you watched the movie? Joo Goon was in Sophie’s Revenge? I dont remember at all! did he speak chinese or korean there?